I love Le Riopelle de l’Isle and Le Tomme de Grosse-île but I didn’t realize Fromagerie Ile-aux-Grues made cheddar too! Ile-aux-Grues is a very special co-op based on the principal of sustainability, not only for the islands community of workers, but also for the land, environment and the animals. The small herds of Swiss Brown cows graze on the marshy grasses that grow around the island giving all of their cheese a unique flavour. 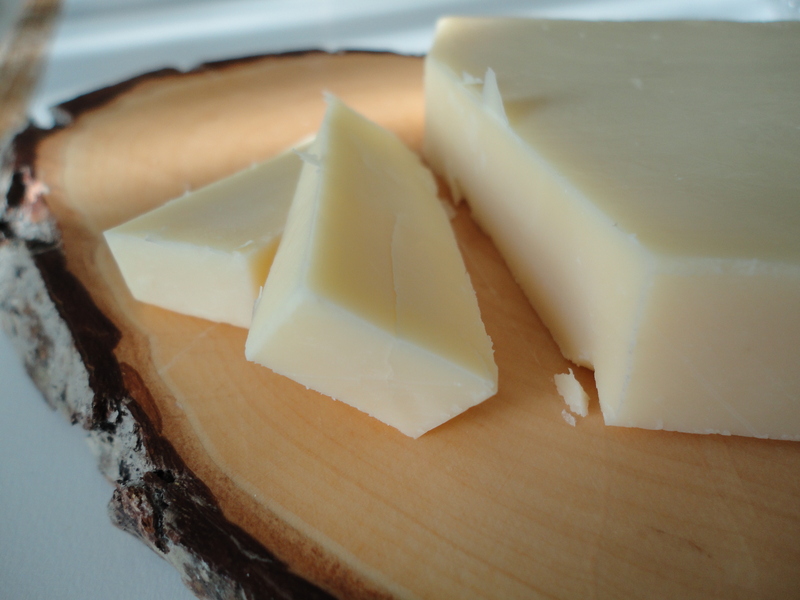 Allowing the cheese to stay in it’s raw form also aids in the ability to taste the terroir. One cold afternoon, I stopped in to visit Grain, Curd & Bean in the Dundas West and Dufferin neighbourhood, and was pleased to find a piece of their 2yr old cheddar in mint condition. Upon first bite I felt like I was eating a wad of cold butter. Lactic, sweet flavours filled every corner of my mouth, coating my tongue. After rolling it around for a bit, you could taste some of the light nutty undertones common with grass fed, raw milk cheese. They didn’t have the milder version but I’m assuming it has less of a bite. Without even chewing, the piece melted away, leaving a tangy feeling and teasing my taste buds for more. This cheddar may be too good to melt, so use it create flavourful sandwiches or just eat it alone, on a cracker or with some fruity chutney.